We’re only a few weeks away from Diablo III Eternal Collection arriving on the Nintendo Switch, along with oodles of fun demon slaying, loot hunting, and memory-making, with local and online co-op! While it’s nice being able to take the Burning Hells with you wherever you go, we’ve got another surprise up our sleeve. Together with Nintendo, we’ve created the Nintendo Switch Diablo III Eternal Collection Bundle, packed with enough sweet loot to make even Greed herself jealous. 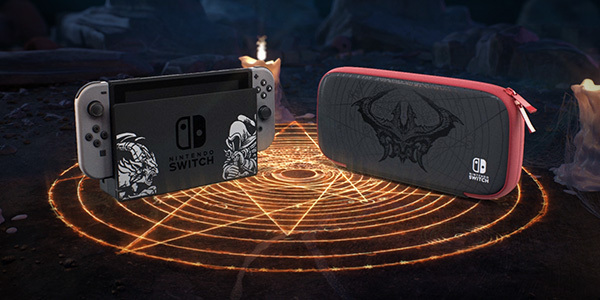 The Nintendo Switch Diablo III Eternal Collection Bundle includes a Diablo III-themed Nintendo Switch system and dock, a Diablo III-edition carrying case, and a download code for Diablo III Eternal Collection. This definitive edition of Diablo III includes the Reaper of Souls expansion, the Rise of the Necromancer content pack, and every feature and update added to the game to date. 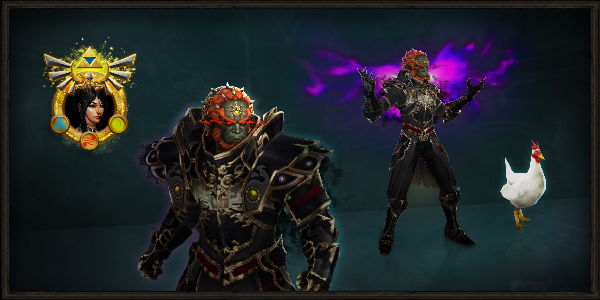 Switch players also get a cosmetic armor set inspired by Ganondorf, the infamous villain from The Legend of Zelda series, and other Hyrule-themed goodies! Whether you’re a veteran of the Eternal Conflict or a newcomer eager to slay your first demon, there’s no better way to bring the never-ending adventure of Diablo III with you. These special edition Nintendo Switch consoles are in limited supply, so be sure to catch one before they disappear like a Treasure Goblin through a portal! For more details on how to score one of your very own, check out GameStop in North America, or EB Games in Canada. In Australia and New Zealand, check your local retailer. Where will you party up with fellow heroes on the Nintendo Switch? Let us know in the comments, and we’ll see you when this new, portable version of Diablo III arrives on November 2!